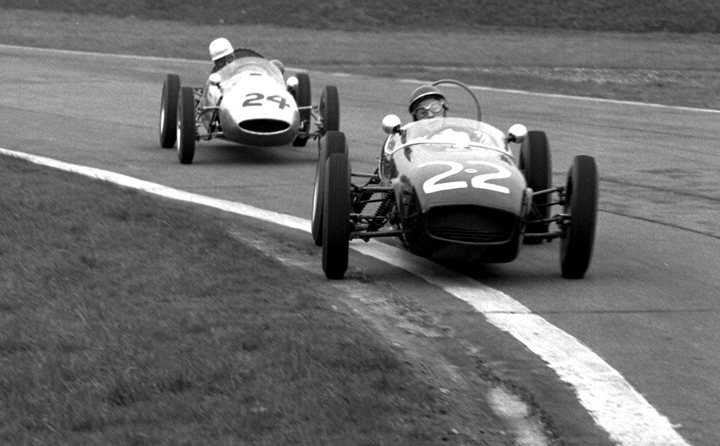 1959 could be one of the most significant years for the motorsport world. That may be a very bold statement but it’s undoubtedly true when you consider the facts. 1959 was the year Ford released their 105E, 997cc “Kent” (named after the Ford factory that produced it) four cylinder engine powering the new Ford Anglia. This engine was the embryo of what was to become the most popular and widely used production based four cylinder motorsport engine of all time. 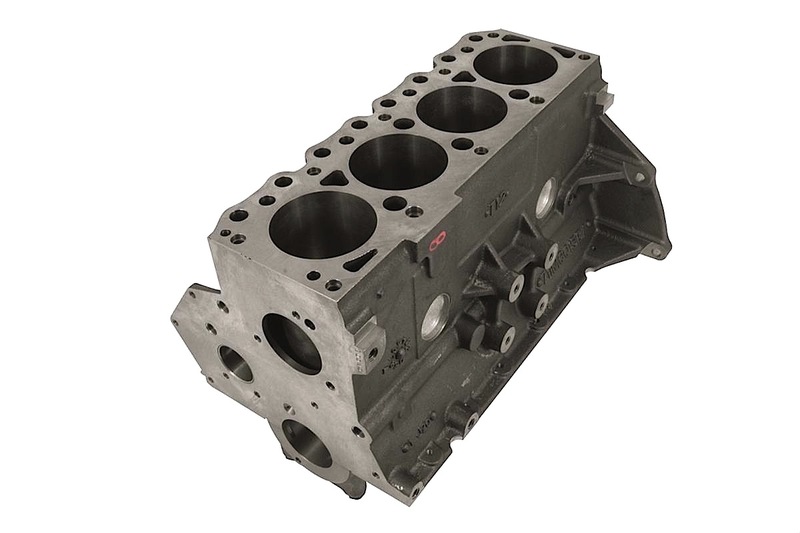 The 105E used a cast iron block with a comparatively large bore (81mm) that allowed generous valve size resulting in good BMEP (brake mean effective pressure). The stroke was only 48mm so that meant the engine would rev. Formula Junior engine builders of the time were saddled with using British Leyland A series engines, and soon realized this new Ford 105e was their ticket to the podium. Engine tuners like Holbay, Cosworth and Martin soon had the engine cranking out over 100bhp compared to the stock 39 and the racing world would never be the same. This early 1960’s Ford promotional film is a great snapshot into the past, showing Formula Junior action and featuring the inner workings of the Cosworth engine shop. Ford soon released 1200cc and 1340cc versions for their larger cars and the engine tuners had the power well over 100bhp shortly thereafter. Once power crested the 100bhp mark, lighter and stronger parts were developed and power increased even more. 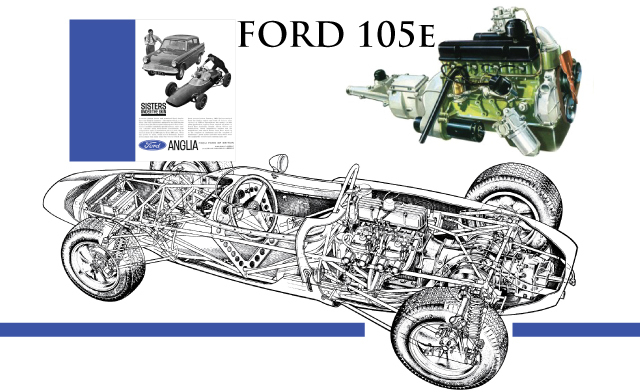 Ford launched the “116e”, 1500cc version in 1962 complete with 5 main bearings and a slightly taller engine block. The bore remained unchanged at 81mm as well as the bore centers along with many of the other aspects of the engine allowing many of the components to interchange throughout the years. Lotus went on to develop a twin cam head for the 116e resulting in the ubiquitous Lotus Twin Cam that had a production run from 1962 through the mid 1970’s. The twin cam is used in rally, circuit and formula car racing to this day. Cosworth was also busy developing a wide range of engines based one the 105e and 116e for use in everything from Formula Junior to Formula 2. 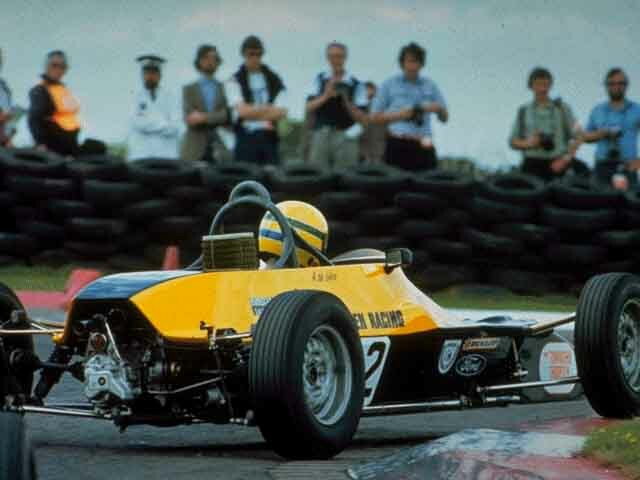 Cosworth found the limitations of the Ford cylinder head for Formula 2 and developed a completely new cylinder head with an overhead cam configuration, called the “SCA”. 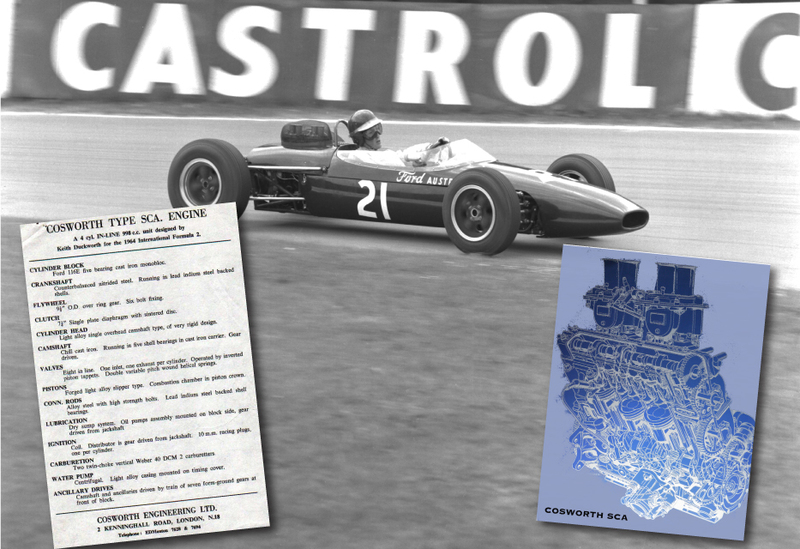 Recognizing the potential for the larger displacement engine and a better flowing cylinder head, Cosworth backed by Ford, developed the “FVA” that went on to dominate Formula two. 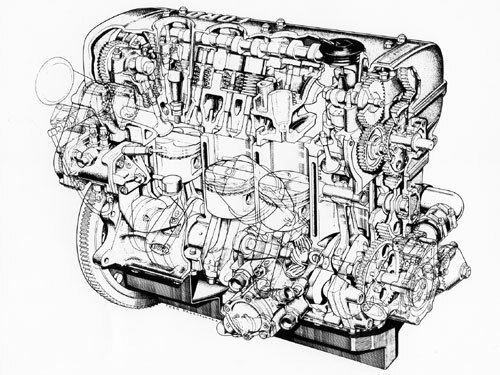 The FVA would lead Cosworth’s early development into four valve head technology that was also applied to the 3.0L V8 DFV Formula One engine. In 1967, Ford released the “crossflow’ 1600cc version of the engine that featured a larger stroke and crossflow cylinder head design yet the basic dimensions of the engine remained unchanged. The crossflow engine became the foundation for Formula Ford in 1967, a race series that started the careers of so many professional racers. The series is still active today and in fact Ford Racing still casts brand new engine blocks with a few improvements and updates. Of course the new block can be used outside of Formula Ford for such applications as historic racing and vehicle restoration. 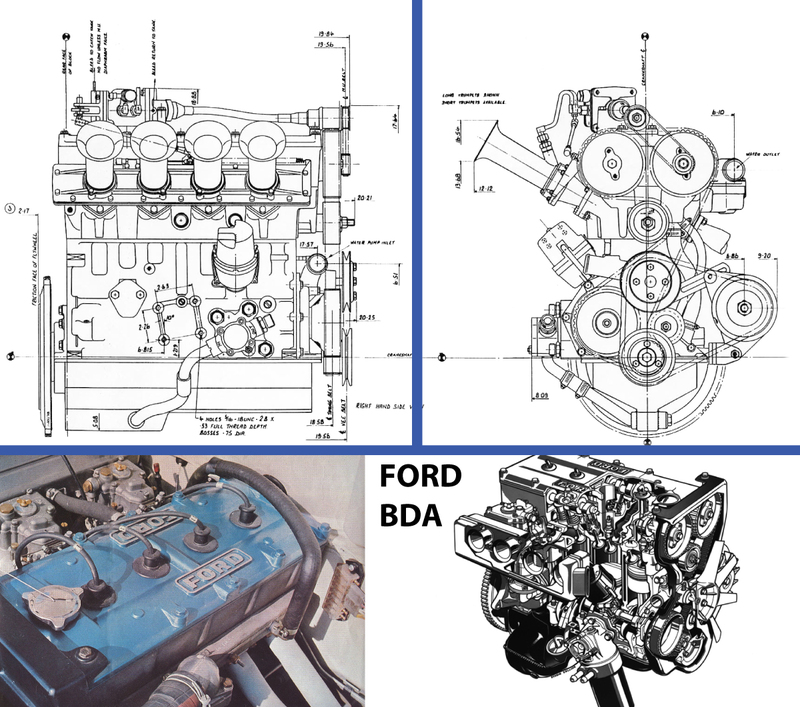 In 1969 Cosworth developed the “BDA” for Ford , also a four valve head based on the crossflow engine that went on to win countless races and rallies. 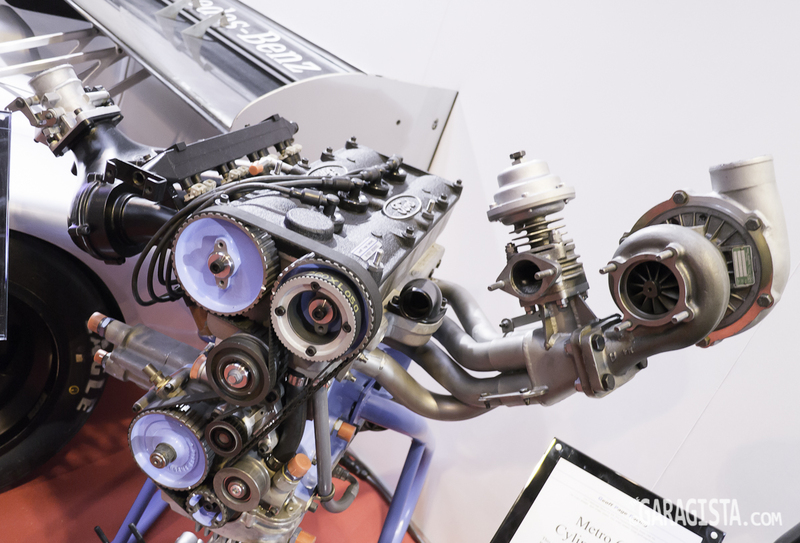 Ford last used the Kent based engine for motorsport in 1986 in the Group B RS200 that relied on a turbocharged version of the BDA called the BDT producing over 800bhp. So when you consider an engine that was originally released in 1959 and still widely used today in all forms of racing and supported by countless shops and business, you certainly have a compelling argument to support the statement “the Ford Kent engine is the most popular production based four cylinder motorsport engine of all time”. Gallery | This entry was posted in Engines, Lotus, Retro and tagged Cosworth, Ford BDA, Ford crossflow, Ford Kent, Formula Ford, Formula Junior, Lotus. Bookmark the permalink.